THIS ARTICLE CONTAINS THE STATS, STRATEGY, AND GUIDE FOR CASTER - ELIZABETH BATHORY (HALLOWEEN). WE WILL UPDATE THIS AS SOON AS THE GAME COMES OUT. Elisabeth Bathory (Halloween) is a Fate Grand Order Caster class servant that appears only during Halloween Events. She is currently available in FGO USA. 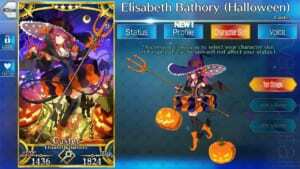 Also known as Elisabeth Bathory (Caster), Elisabeth Bathory (Halloween) is a limited-time servant that appears during the Fate Grand Order Halloween 2017 event. Players immediately receive Elisabeth Bathory (Halloween) upon completing the Main Quests of the Adventure of the Singing Pumpkin Castle. 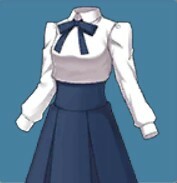 As of now, she is only available during the FGO Halloween 2017 event. There have been no announcements if she’ll be added to the permanent summoning pool. Elisabeth Bathory (Halloween)’s Skill composition is promising, with Innocent Monster employing both C. Star generation as well as patching up HP. She has well-rounded Stats, and her deck consists mainly of Arts Cards which complement her Passive Skill Territorial Creation. 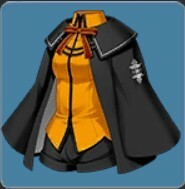 In addition to C. Star generation, she can double as an offensive servant due to her NP-type. 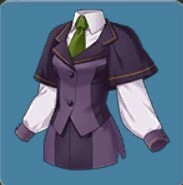 This makes her suitable for chaining Buster Cards alongside her teammates. Employ Mana Burst (Pumpkin) prior to unleashing her NP then chain Buster Cards to inflict more damage. When deciding which Skill to enhance first, be sure to consider which type you prefer Elisabeth to commit to. 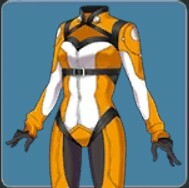 If you prefer an NP-type build, focus on reinforcing Mana Burst (Pumpkin). Should you prefer a more supportive role, capitalize on Innocent Monster instead. The servants that pair well with Elisabeth Bathory (Halloween) primarily consist of those which employ both C. Star absorption then putting them to good use with the appropriate follow-up Skills. Jeanne d’Arc (Alter)’s Dragon Witch EX not only raises the Elisabeth’s ATK but amplifies it further due to her Dragon Trait. Her Self-Modification Skill has great synergy with Elisabeth’s Innocent Monster making her efficient in inflicting Critical Attacks. Once Lancelot (Saber) acquires the Skill Knight of Owner: A Knight Does not Die with Empty Hands which goes along well with Elisabeth’s Innocent Monster. In this manner, he emulates Jeanne’s role by consuming C. Stars to net Critical hits. Nursery Rhyme also has access to Self-Modification which bolsters her C. Star and Critical strength. 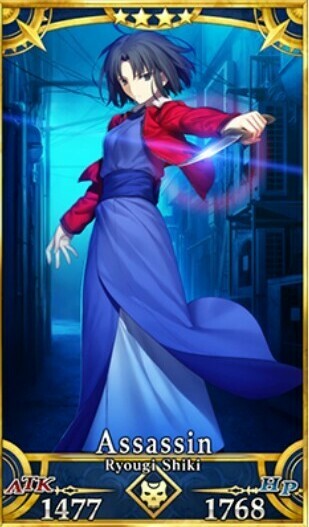 She distinguishes herself as a durable variant of Jeanne (Alter) with access to a self-healing Skill. To further strengthen her NP and to defend her, players can also opt to pair her with Altera. However take note, both Altera and Elisabeth Bathory (Halloween) are squishy in terms of defense. Another servant to aid would be either Mash or Martha who not only can create Arts Chains but also Buster Chain their NP’s together. Black Grail is viable due to the high increase in NP damage with additional ATK. Despite its demerit, thankfully Elisabeth Bathory can cast Innocent Monster to make up for the HP lost. Victor of the Moon also works due to its multiple effects for Buster Cards. 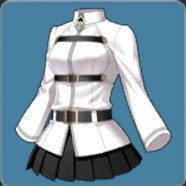 Since her Territory Creation allows her to quickly replenish her NP Gauge, players can focus on bringing out her damage instead. Victor of the Moon grants additional 10% effectiveness to her NP and at the same time buffs her damage when she dishes critical hits. Innocent Monster EX 3 7 Gain critical stars each turn for 3 turns. Recovers own HP. Mana Burst (Pumpkin) A 1/10 7 Increases own Buster card performance for 1 turn. Burns all enemies for 300 damage every turn for 10 turns. Performance Continuation A 5 9 Grants self guts status for 5 turns. Gain 8 critical stars. Deals damage to all enemies that ignores defense. Despite being likened to Vlad III, Elisabeth Bathory (Halloween) effectively left that life behind her. Also serving as inspiration for the vampire Carmilla, Elisabeth Bathory (Halloween) was once a blood-thirsty killer. Based on her legend, Elisabeth Bathory (Halloween) is said to be a serial killer who preyed on young women. After killing the young women, she would drain their bodies of their blood before bathing in them. Before she died, her count escalated to at least 650 although this is still debatable. When she is summoned in this form however, Elisabeth Bathory (Halloween) becomes increasingly more innocent. While she does maintain her sadistic streak, Elisabeth Bathory (Halloween)’s focus is more on being a pop idol. 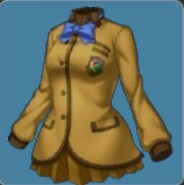 Her dreams became realized when she came across a piece of the Holy Grail lying around. Once she fuses with the grail, she soon creates Castle Csetje with a more Halloween theme.